Tickets are on sale to see Jack Nicklaus and other legends of golf compete at the Bass Pro Shops Legends of Golf at Big Cedar Lodge, held April 22–26, 2015, at Buffalo Ridge and Nicklaus-designed Top of the Rock in Ridgedale, Missouri. It is the only PGA Tour eventhosted at a Par-3 course. This event is an opportunity to be in the company of more World Golf Hall of Fame members than at any other time in history, with a field featuring the Golden Bear and other legends of the game such as Tom Watson, Gary Player, Colin Montgomerie, Ben Crenshaw, and recently announced 2016 Ryder Cup Captain Davis Love III. Participants can also rub elbows with many other high-profile celebrities and legends in fishing, racing, and entertainment. Add to that the opportunity to enjoy time in the heart of the Ozarks at the spectacular Top of the Rock and Buffalo Ridge golf courses. The tournament will be broadcast on NBC Golf Channel from 12:00 p.m. to 2:30 p.m. ET, and Saturday and Sunday from 3:00 p.m. to 6:00 p.m. ET. Different ticket packages provide a range of ways to experience the Legends of Golf tournament. Starting for as little as $25, you can buy tickets to events at Buffalo Ridge. Top of the Rock and Buffalo Ridge Gold Combo tickets start at $50 and offer access to see the legends play the par-3 world-class Top of the Rock and Buffalo Ridge. In addition to providing access to tournament play on both courses, and displays and attractions, this premium pass also admits holders to Arnie’s Barn at Top of the Rock, where participants can dine at the restaurant, visit the pro shop and see the legends up-close. Quantities of the Gold Combo tickets are limited. 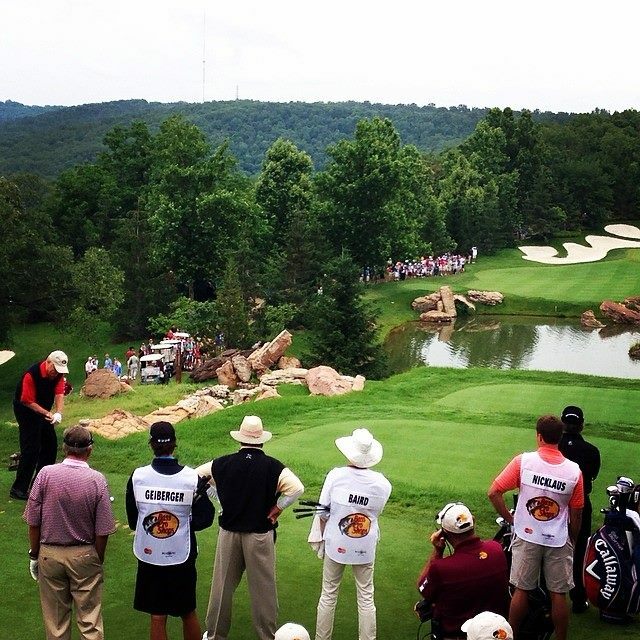 The Bass Pro Shops Legends at Big Cedar competition will be played over 54 holes. The par-3 Top of the Rock golf course offers a one-of-a-kind golf experience. The natural Ozarks topography and breathtaking views of Table Rock Lake make the Jack Nicklaus Signature Golf Course unlike any other. Top of the Rock also features the new Arnold Palmer-designed “Cascades” practice facility with 18 target greens and a 70,000-square-foot “Himalayan” putting course designed by Tom Watson. In 2015, Golf Advisor named Top of the Rock to its list of the Best 10 Par-3 Golf Courses in the U.S. The total purse for the tournament will be $2.75 million, and the event’s presenting sponsors are Bass Pro Shops, Big Cedar Lodge, MasterCard, and the State of Missouri. Proceeds for the tournament will go to support the College of the Ozarks “Hard Work U” and The National Fish and Wildlife Museum. To purchase tickets to the Bass Pro Shops Legends at Big Cedar Lodge, visit http://bassprolegends.com/ticket-info-new.php or call toll free, 1-888-347-4426.